Creating a company profile brochure or slideshow is a big responsibility. You especially need to pay careful attention to the design, arranging content in a readable and attractive way. These company profile templates can be a huge time-saver! 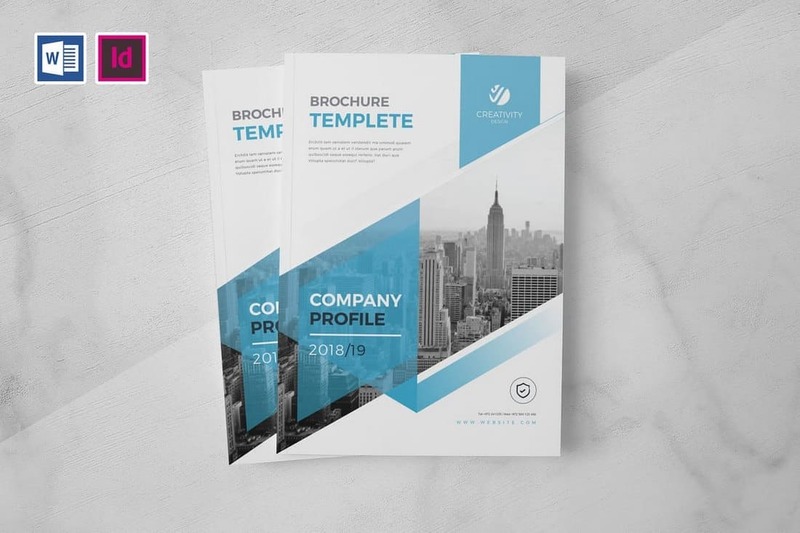 Designed by professionals, these templates allow you to easily create a company profile brochure or a PowerPoint presentation without having to spend hours on perfecting the design. 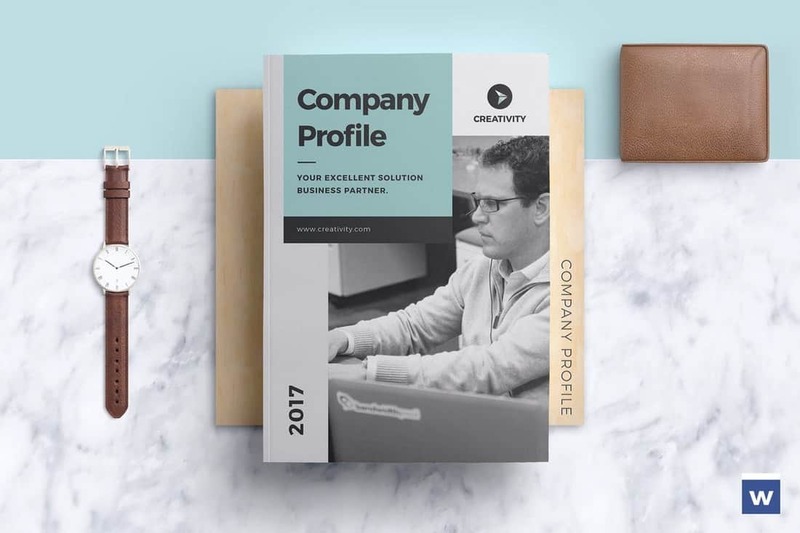 We handpicked a collection of the best company profile templates for Word and PowerPoint, to help you create a modern company profile for your business. These templates are all easily customizable to boot. 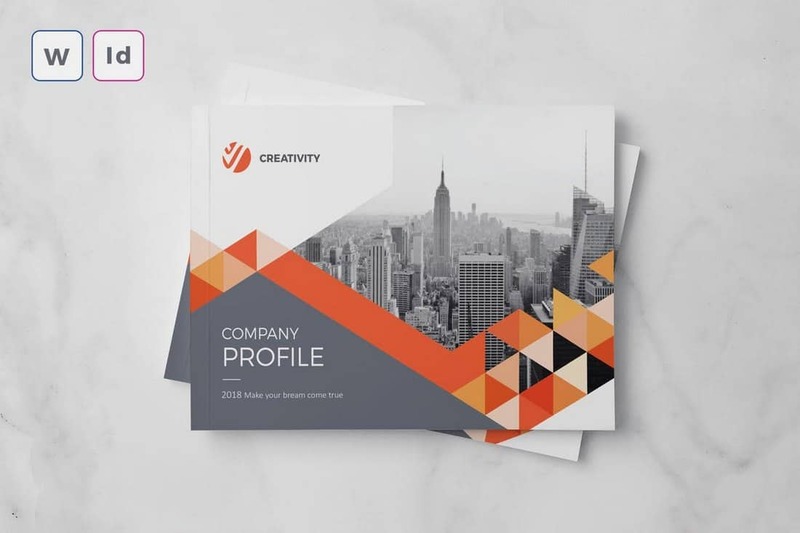 This modern and creative company profile template comes in both A4 and US Letter sizes and features 18 unique page layout designs. The template can be easily customized with Microsoft Word as well as InDesign. It also includes a business card template, letterhead, and a flyer design as well. This Word template features a multipurpose design, which will allow you to create brochures for different types of company profiles with ease. The template features 16 professionally designed page layouts and comes in A4 size. You can edit this template using Word and InDesign. Minimalist design is a great way to showcase professionalism. This simple and clean company profile template will help you achieve that goal. It includes 16 page designs for including company information with easily editable text, colors, and images. The template is available in A4 size. This Word template comes in A5 size and landscape design. It supports both InDesign and Word so you can easily edit and customize the template using your favorite app. The template is most suitable for creating company profiles for agencies and corporate businesses. This multipurpose Word brochure template is ideal for crafting a modern company profile for any kind of business. The template lets you choose from 28 different page designs to include your company details and print it in either A4 or US Letter size. You can edit it using InDesign or MS Word. 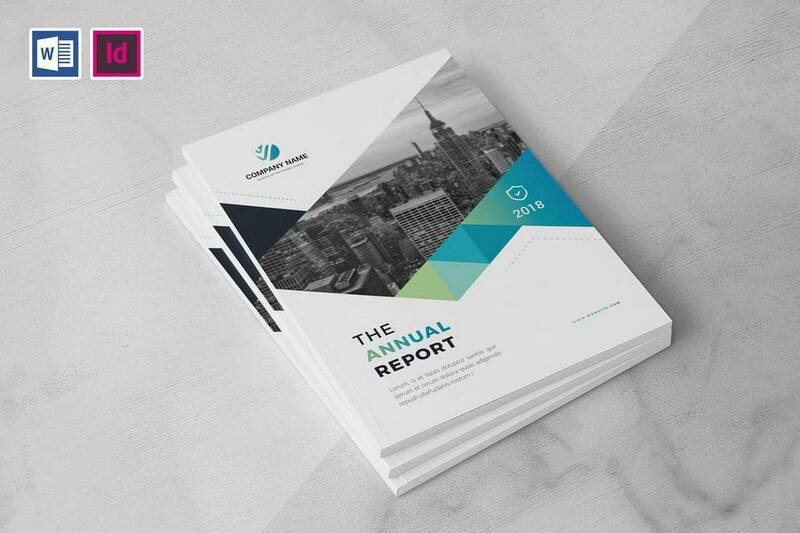 If you’re working on a company profile showcasing the annual progress and the report of the company, this Word template will come in handy. 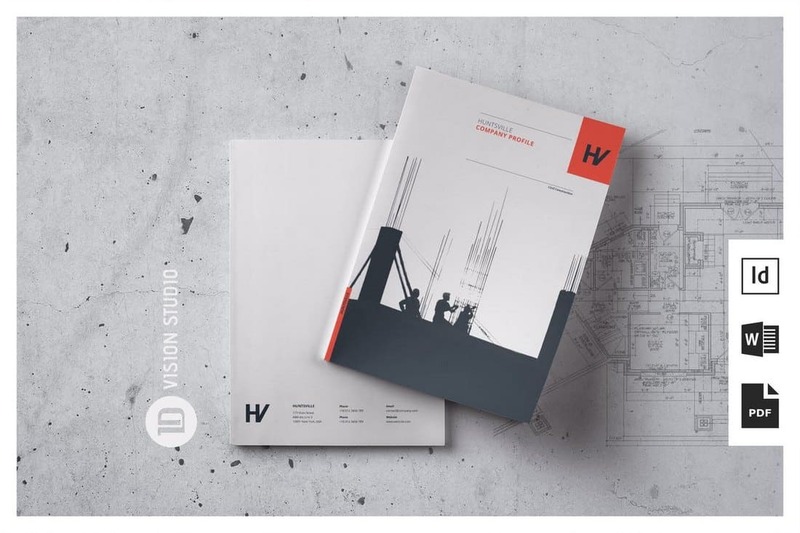 It features 16 page designs in A4 size, specifically crafted for making annual reports and company profiles. It’s available in Word and InDesign file formats. A creative company profile template with a landscape design. 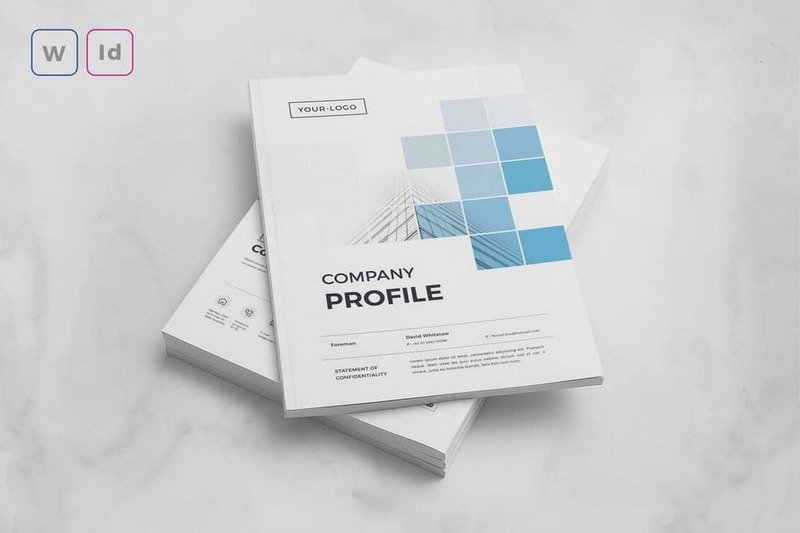 This template features a highly visual design that will allow you to create a modern and stylish company profile brochure. It can be customized with MS Word and InDesign and the template includes 18 page designs in A4 and US Letter size. Using a PowerPoint presentation to showcase your company profile is a great way to attract attention in meetings and conferences. 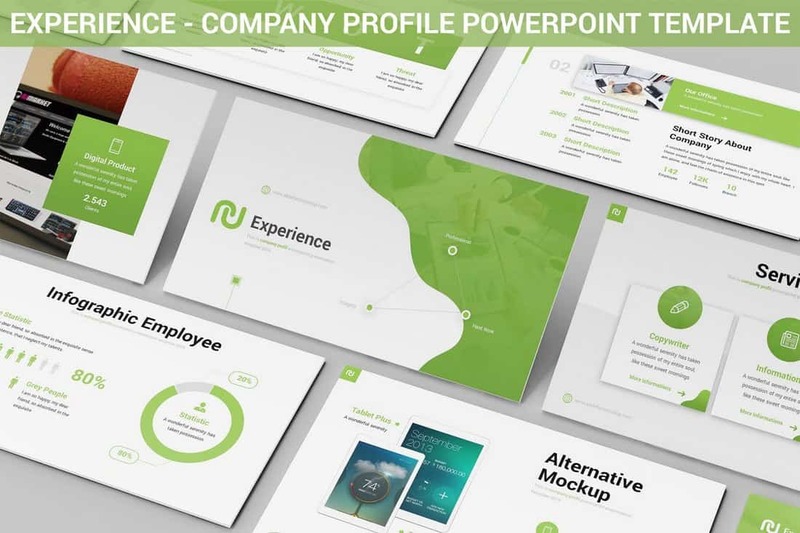 This premium PowerPoint template will help you create a professional slideshow to present your company profile without an effort. It includes 30 unique slides in 5 different color schemes with image placeholders and editable designs. This PowerPoint template comes with all the necessary slides you’ll need to make an effective company profile presentation. It includes slide designs for detailing company history, clients, objectives, finances, pricing, and much more. The template can be customized with 5 color designs and features a unique infographic as well. A great pitch deck is a must-have for presenting a startup or a business at an event or a meeting. 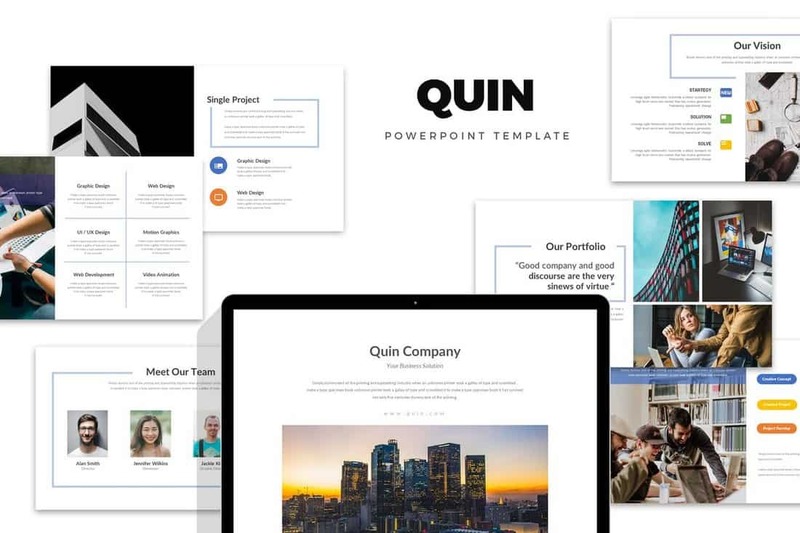 This PowerPoint template is designed for creating those slideshows. It includes 30 unique slides with highly visual designs full of images, which you can easily edit and customize using drag and drop image placeholders. 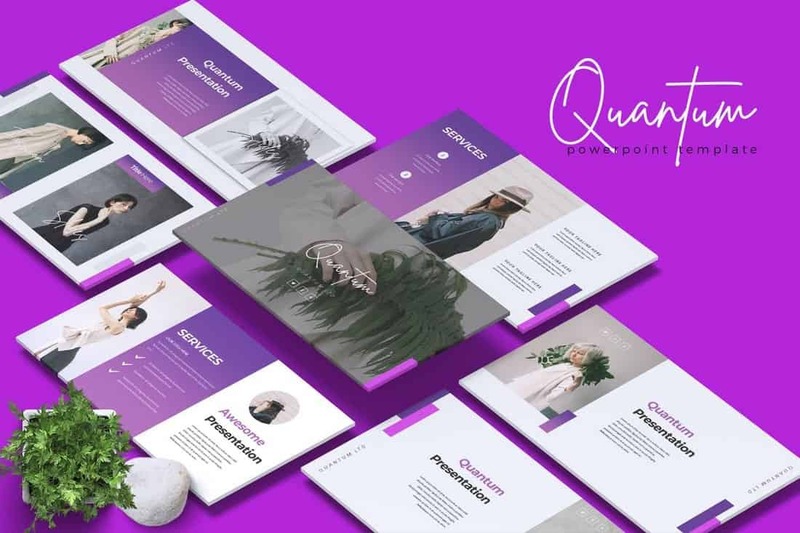 Quantum is another powerful company profile template for making creative and modern slideshows for presenting your business. The template features a fully customizable design featuring a total of 150 slides and includes vector shapes, graphics, and much more. 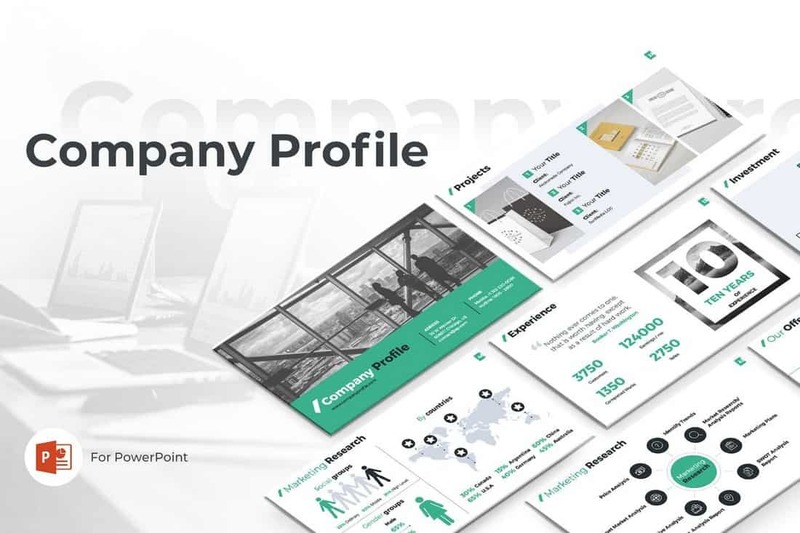 This minimal and modern PowerPoint template features a complete slide deck you can use to create all kinds of company profiles for various presentations. It comes in 3 different color schemes as well as both dark and light color designs. The slide designs are easily editable as well. 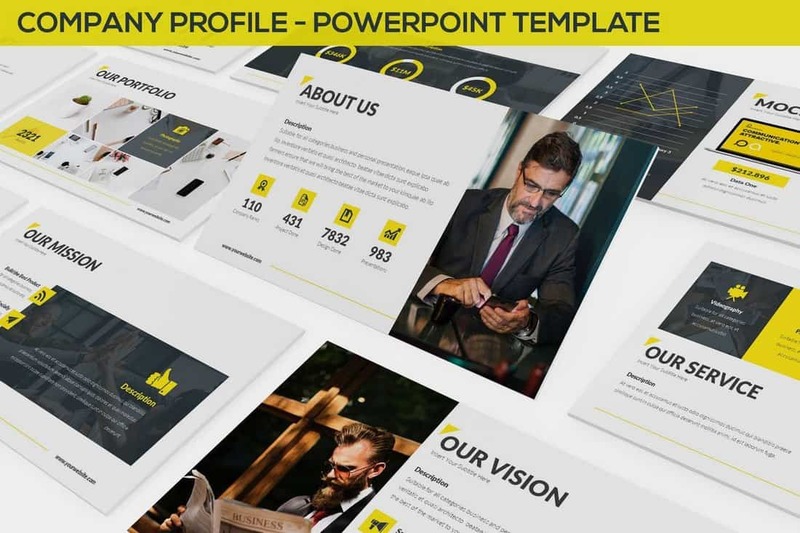 This is a creative PowerPoint template that’s most suitable for making company profile slideshows for marketing agencies and businesses. The template comes with a total of 1200 slides featuring 5 different color variations. It’s available in both widescreen and standard sizes. 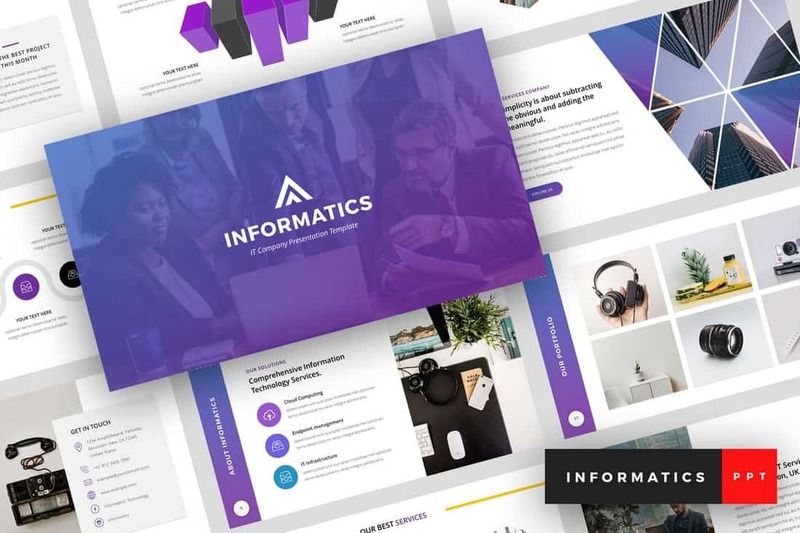 Informatics is a creative PowerPoint template designed for information and technology-related companies and businesses. The template is fully customizable and allows you to create all kinds of presentations slideshows, including company profiles. It comes with 54 unique slides with editable vector graphics, icons, and more. 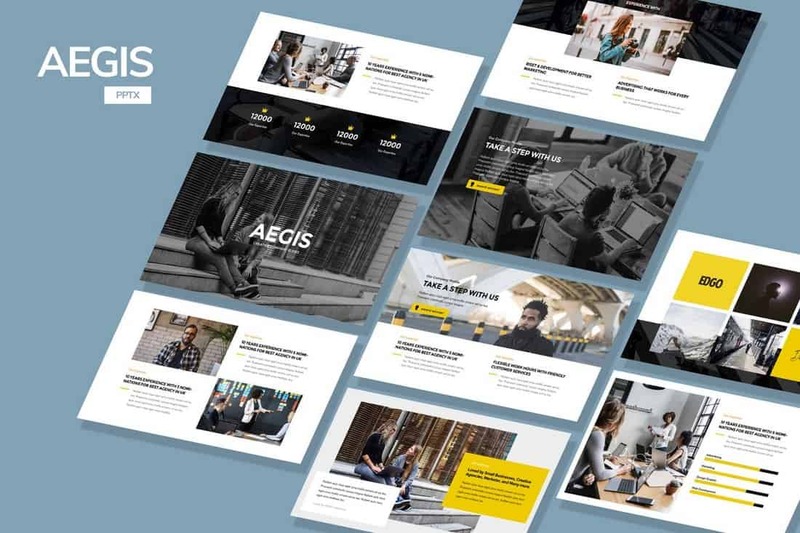 Aegis is a company profile PowerPoint template made for small and corporate agencies. 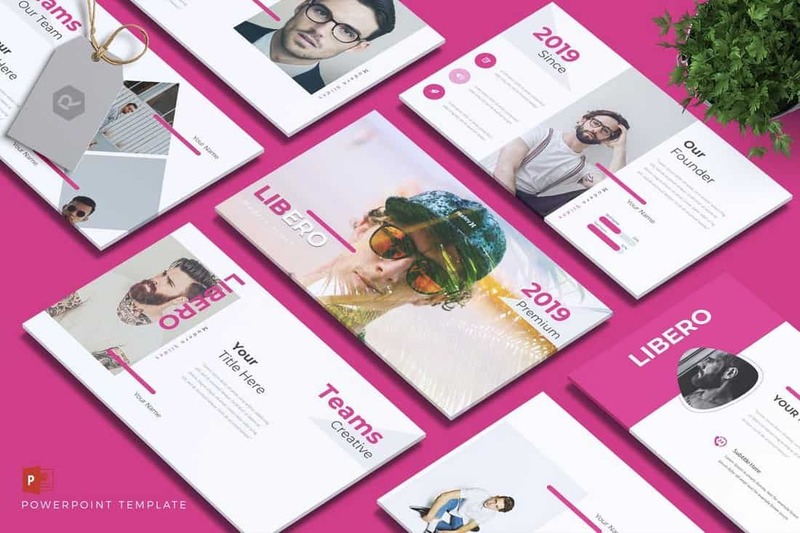 The template includes 30 unique slides in HD resolution and allows you to customize the slide designs with ease using its drag and drop image placeholders, editable charts, and other vector elements. 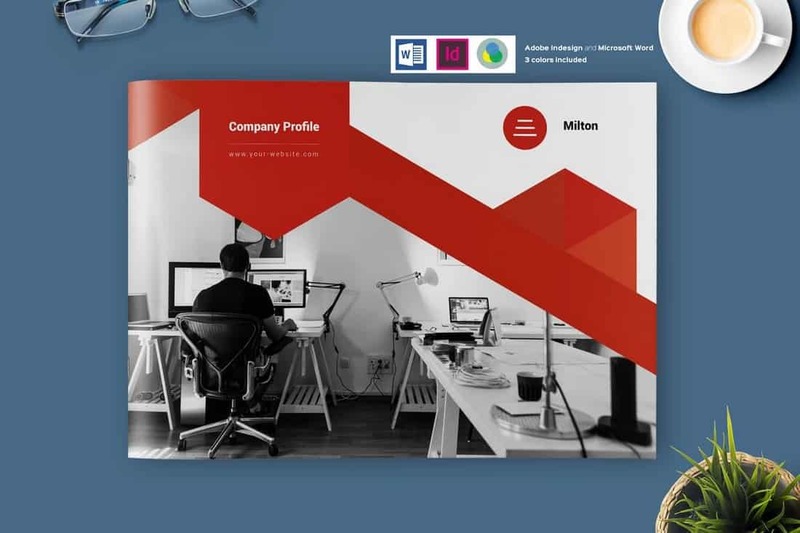 Porto is a multipurpose company profile PowerPoint template you can use to create both company profiles for corporations as well as to create personal profiles for creative professionals. 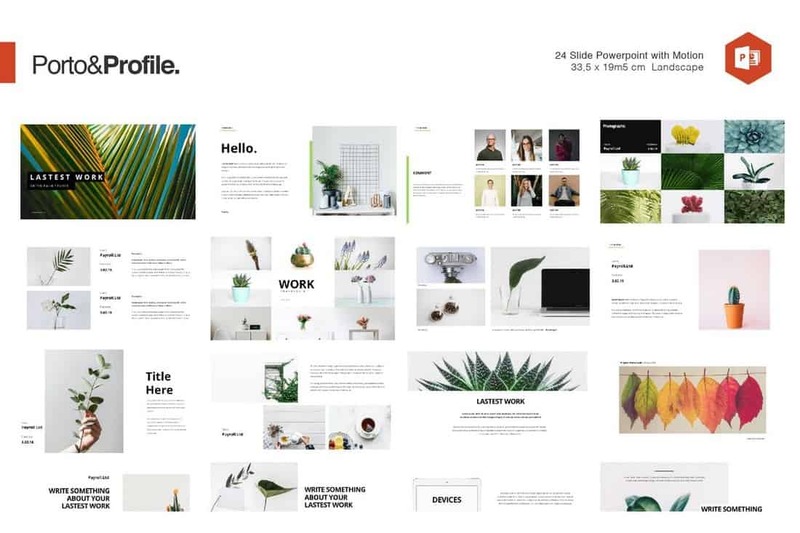 The template includes 28 unique slides featuring portfolio slides, gallery slides, team profiles, and much more for making beautiful slideshow presentations. 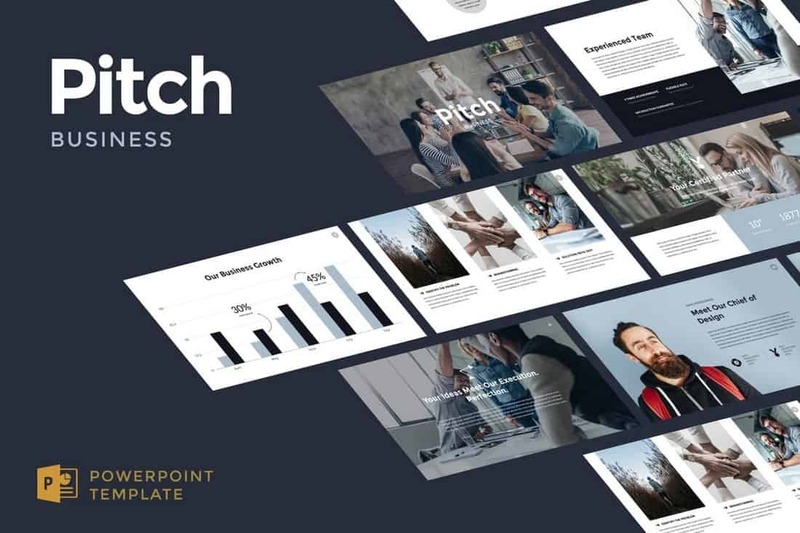 This elegant and clean PowerPoint template features a total of 400 slides, allowing you to choose from 4 different color variations, easily edit images with placeholders, vector shapes, editable illustrations, and much more. This template is perfect for making a minimalist company profile presentation for modern businesses. Check out our best Word brochure templates collection for more inspiration.